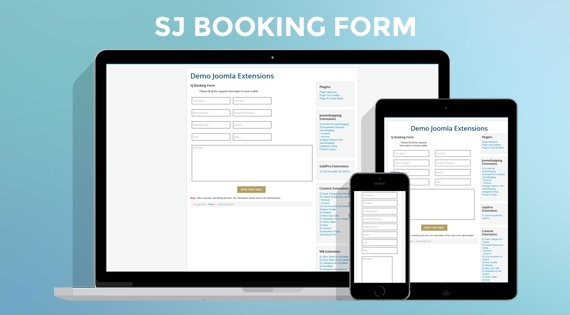 SJ Booking Form is built with the idea of online booking table. This module can be integrated to a restaurant website or even a tourism website to make it be professional and interactive. Besides, this module can be used as a contact ajax form. The module provides an easy form with adequate information that required for managing online booking. Specially, you can customize the description text that lets visitors understand more about the form. With the clear back-end interface and detailed documentation, you can totally control this module. Let's check out its Demo now!